A deep powder paradise that should be on every skier’s bucket list, Japan offers travellers the opportunity to not only experience some of the most beautiful, unique skiing in the world, but also to immerse themselves in a cultural experience like no other. The first image that comes to mind when most people think of skiing in Japan is that famous deep powder and picture-perfect tree runs. However, some see the incredible powdery images that come out of Japan and assume that it is a destination best suited for advanced off-piste skiers. Admittedly, powder hounds do flock here – unsurprising given that Japan’s resorts are blessed with more snow than anywhere else in the world and offer some of the best cat-skiing around. Yet this does not mean that intermediate skiers can’t enjoy the skiing – in fact, Japan’s resorts are more intermediate-friendly than you might think. Thanks to mellow terrain and excellent ski instructors and guides, you don’t have to be an expert to ski off-piste here. In fact, it’s the perfect place to work on your powder technique and you are sure to notice an improvement the next time you hit your favourite slopes in Europe. What’s more, in Japan there are also plenty of crisp, well-groomed runs, perfect for those who prefer the pistes, meaning all skiers can enjoy their time on the mountain in Japan. For intermediates, or those looking for more than just fresh powder, the best time to head to Japan is March. At this point, there is still a huge snowpack and lots of fun to be had, but less visitors and much better value for money. Niseko is often the top choice for skiers looking for the ultimate Japan experience. Arguably the best all-rounder in Hokkaido, year on year Niseko offers amazing snow, spectacular views of Mt. Yotei and high quality, cosy accommodation. You can even make the most of the slopes until 9pm with Niseko’s night skiing opportunities, which give visitors the perfect chance to watch Mt. Yotei bathing in the alpenglow. Off the slopes, it’s a fun town with a huge variety of restaurants and bars, from local cuisine to international favourites and a buzzing après-ski scene. Whether you are travelling on a single man chair to the peak of Hirafu or cruising down the Hanazono slopes, a ski holiday to Niseko is sure to bring you vibrant new experiences. 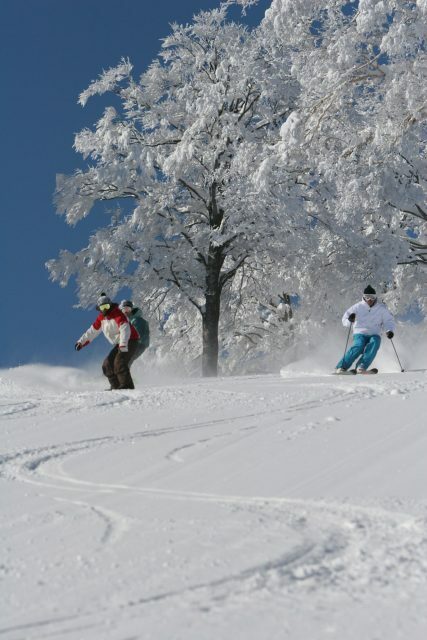 Two more highly popular resorts and personal favourites of the Ski Safari team in Nagano are Nozawa Onsen and Hakuba. Here you will find a number of brilliant mountain restaurants and a huge variety of terrain, from the 10km long thigh burner Skyliner in Nozawa Onsen to the well groomed and more challenging Olympic Runs in Hakuba. Alongside fantastic skiing, in these resorts you can also experience a number of unique cultural adventures that will add that little extra magic to your holiday. Indeed, whilst the skiing in Japan is truly spectacular, it’s off the slopes where Japan really sets itself apart as a destination. The opportunity to explore new cultural experiences here is huge. Unwind in a steamy onsen (some of which are famously popular with the local monkey population too), stay in a ryokan (a traditional inn) or sip local beer in an izakaya (Japanese pub). Either way you are sure to be surrounded by friendly local hospitality and incredible landscapes. The ski resort of Nosawa Onsen holds a particular draw for culture seekers as when you arrive, there’s no mistaking you’re in Japan. The thirteen beautiful public onsens (hot springs) are centuries old, and this natural hot spring water is used to de-ice the roads and cook the vegetables and onsen eggs for the hotels in the village. These onsens also provide the perfect opportunity to relax in a unique, tranquil setting after a long day’s skiing. Also easily accessible nearby are the Zenkoji Temple and the Jigokudani Snow Monkey Park – a true treat for animal lovers. Visitors should also make sure to set an extra day aside to explore the historical temples in the ancient city of Kyoto or experience the malls, fish markets and neon cityscapes of the modern capital, Tokyo. Not to mention the exceptional food! 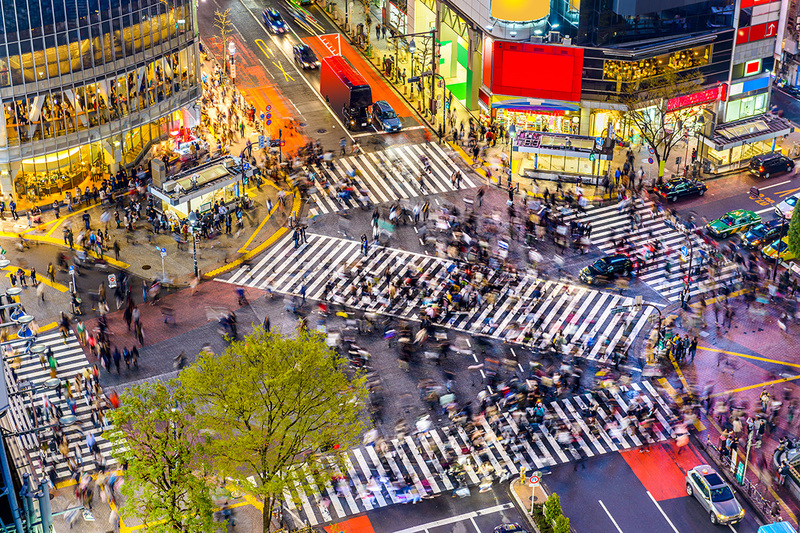 Tokyo in particular is a city that must be seen to be believed; highly modern, fashionable and technology focused whilst at the same time boasting a rich culture and history. With the winter months never too cold here and most flights to the UK travelling out of Tokyo anyway, it makes total sense to add on a few city days to your mountain break. A stop in Tokyo will turn your ski trip into a true one-of-a-kind holiday. 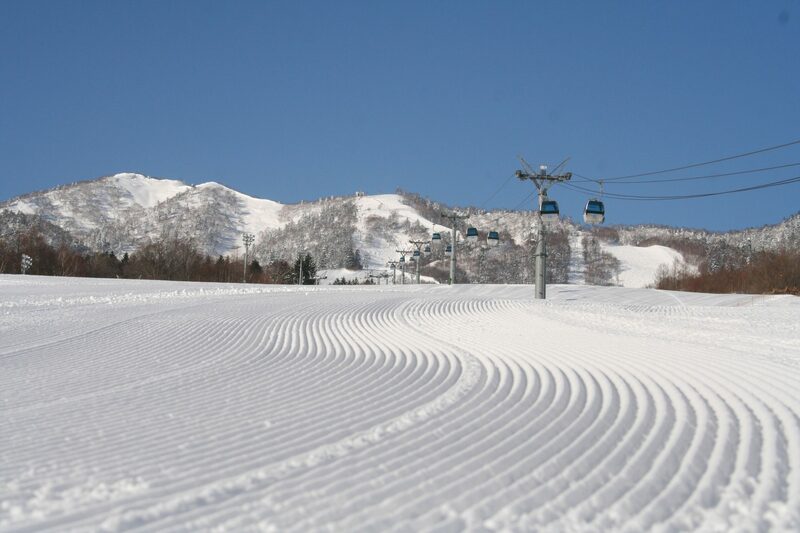 Ski Safari recommends travel to Hokkaido in January and February. Given that during the winter of 2017/18,1200cm of snow had already fallen by the end of February, this is unsurprising! If you’re after that legendary fluffy ‘Japow’, any trip here at this time won’t disappoint. Hiring a guide is the best way to access the best snow and find the best conditions, and they’ll bring you to any one of the neighbouring resorts whether you’re staying in Niseko or Furano so you can truly explore all the area has to offer. Alternatively, why not try Cat-skiing with Weiss Powder Cats in Niseko, an experience allowing you to access exceptional cruisy terrain on your own private mountain, making use of an old ski resort. They take a maximum of 12 guests, meaning that you are guaranteed fresh tracks and untouched powder. Guides are on hand to ensure that you find the best spots and to keep you safe, whilst a trained photographer is also on hand to give you the memories of a lifetime. You will also have the opportunity to enjoy a delicious Japanese lunch in the cat, the ideal way to fuel an epic afternoon’s skiing. To take all the stress out of finding the most incredible powder spots, this year, Ski Safari have put together a new and unique group trip to Niseko. Alongside the other members of the group you’ll have the opportunity to explore some of Japan’s world-renowned and best resorts; Niseko, Rusutsu, Kiroro or Moiwa. Benefit from professional guiding as well as a whole day cat skiing, 4* accommodation and daily lift passes, all hosted by Ski Safari founder Richard Rice. Ski Safari’s Japan expert, Kenji Matsuzawa, will also be on hand during the trip to ensure you find the best local restaurants, bars, relaxing onsens and epic powder fields. This trip will be running from 23 to 31 January 2019. 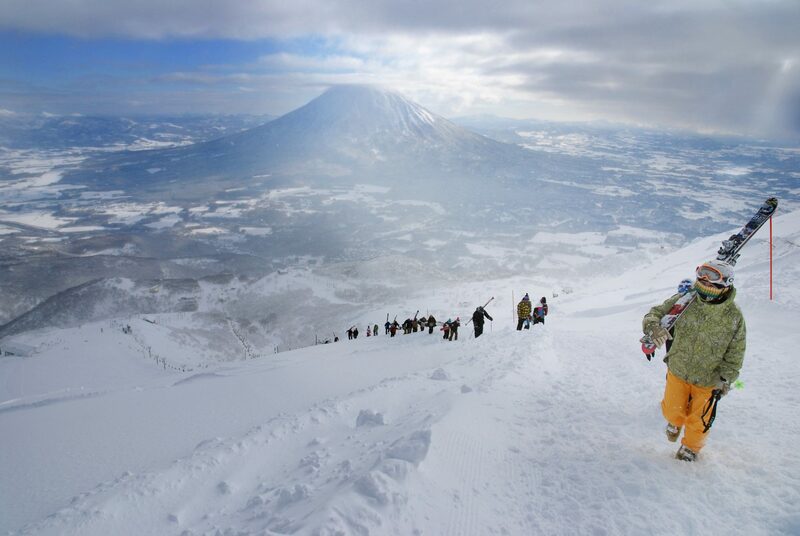 Ski Safari can organise any length of trip to any one (or more) of Japan’s incredible resorts. However, if choosing between the fascinating culture of Nagano and the legendary powder of Hokkaido is just too tough, you can experience a mix of all in one amazing multi-resort ski safari, including city stays in Kyoto and Tokyo! Ski Safari is a team of passionate skiers and snowboarders who specialise in tailor-made ski holidays and aim to provide the best service and value for money, from single resort trips and city add-ons to multi-resort ski safaris. Many of their team have skied Japan, so you’re guaranteed unparalleled advice from first-hand experience. For more information visit skisafari.com or call Ski Safari on 01273 224067.